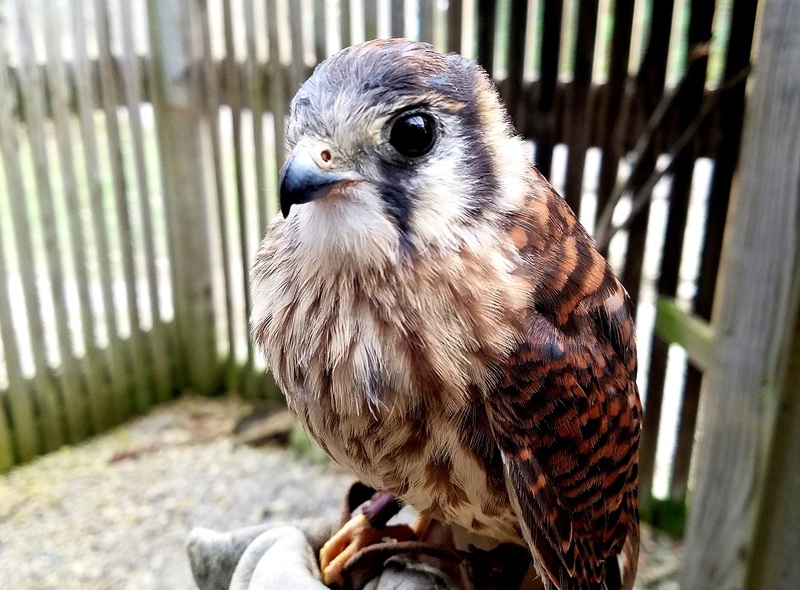 The American kestrel is the smallest and most common falcon in North America — but these birds aren’t always the wildlife staff find during the wintertime cleaning of kestrel nesting boxes. Grey squirrels are not so mellow. They will leap out of the boxes, and have even run down staff members’ backs. “It’s hard to tell whether staff or the squirrel are more scared,” McKee said. Approximately 30 kestrel boxes are located throughout your MetroParks to help the birds compensate for habitat loss. Boxes need to be cleaned and repaired to prep for the springtime nesting season. Tidying kestrel boxes is just one of many tasks parks and conservation staff are tackling to get your 18 clean, safe MetroParks ready for the spring and summer busy season. Staff work together to mow and burn prairies, check tree seedling tubes, maintain equipment, analyze data, and plan for the year ahead. That work helps Five Rivers MetroParks protect local greenspace and waterways so you can explore nature and enjoy its benefits. McKee and Chris Landis, park manager for Germantown and Twin Creek MetroParks, offer the insiders’ look at what it takes to keep up your MetroParks. During the snowy season, staff maintain the sled hills at Englewood, Germantown and Taylorsville MetroParks. As temps warm, staff prep for the influx of spring campers by chopping firewood and cleaning up the sites at Englewood, Possum Creek, Germantown and Twin Creek MetroParks. 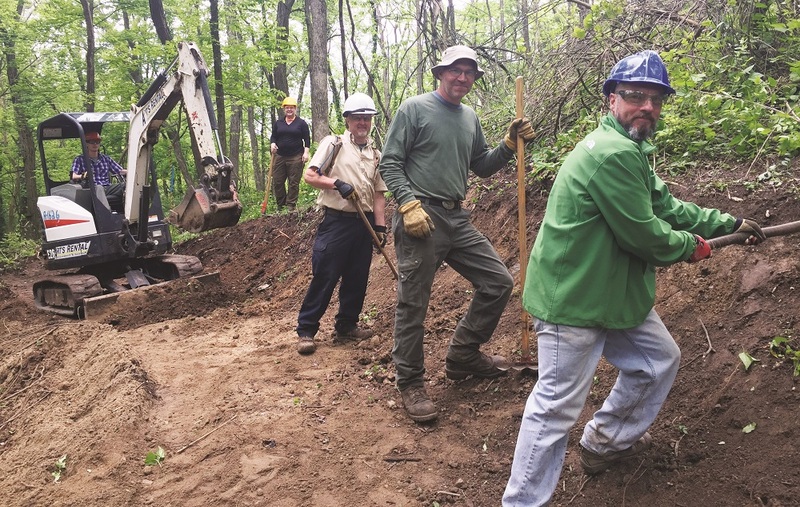 Spring also is prime time for working on the trail corridors Five Rivers MetroParks maintains, which includes paved recreation trails and 160 miles of natural surface trails for hiking, biking, mountain biking and horseback riding. Staff members work to control the growth of invasive species, such as lesser celandine, an early spring-blooming buttercup that grows in carpets that are choking out native woodland flowers. They also turn on the water in drinking fountains, make sure equipment is in good working order, add new gravel to parking lots and remove debris after spring flooding. Other tasks include those familiar to many people: mulching garden beds, painting and deep-cleaning outdoor facilities. 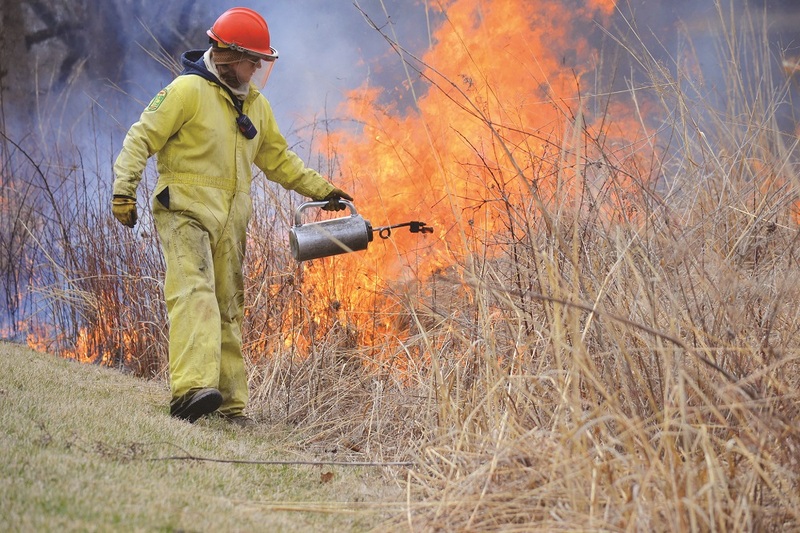 Through April 15, depending on the weather, staff members conduct prescribed prairie burns. These tightly controlled blazes keep the native prairies in your MetroParks healthy. The burns remove some of the woody vegetation that competes with native grassland plants, stimulate the growth of those native plants and release nutrients to the soil. But before the fires can be set, the land has to be prepped to ensure the burns are contained. For example, fire breaks are established through mowing. Prairie burns are part of MetroParks’ habitat management efforts, which are guided by an understanding of European pre-settlement conditions in Montgomery County. While primarily forested, prairies and wetlands also were an important part of the area’s historical landscape. 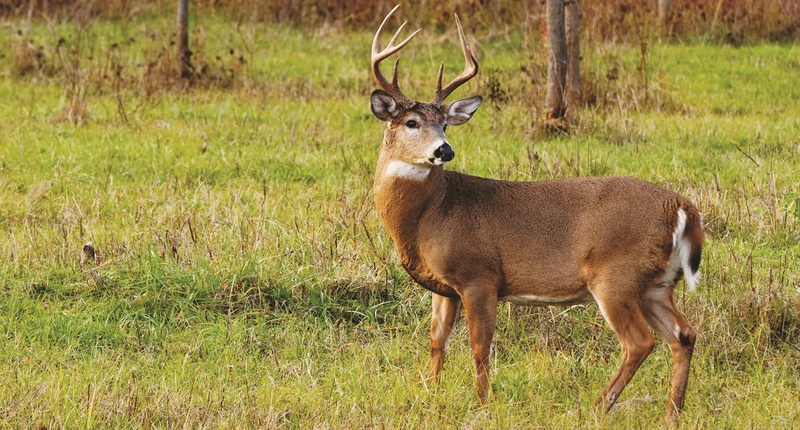 Burns help preserve this diversity of habitats and protect native plant and animal communities in the more than 16,000 acres of natural area MetroParks manages. Winter gives staff time to analyze data from a variety of projects: wildlife surveys that help monitor the population of deer and coyotes, trail inventories that also map the location of wildflowers and rare plants, and examinations of soil structure used to make sure new plants will naturally thrive in particular areas. The season also gives staff time to monitor ongoing projects to ensure everything is working as intended. All this work allows staff to make data-driven decisions when planning for the year ahead. The info is used for habitat management, selecting sites to plant native trees and shrubs, plotting prairie burns, and much more.